Always nice to collaborate with others in the industry. 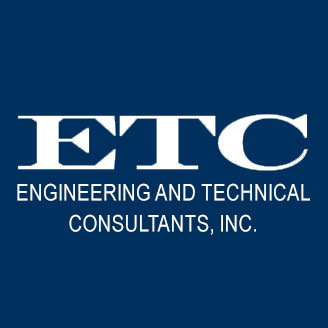 Outstanding work by ETC’s Chief Structural Engineer, Chris Carlson, PE and Project Engineer, Luke Valentine, PE. Job well done! !! Public Service Announcement !! If you have windows that look like this and are planning to replace them, check the caulk and glazing compound for asbestos. We have found hazardous materials in these instances and adding abatement of the asbestos can complicate a relatively simple window replacement project. In the aftermath of Superstorm Sandy, a lot of people found themselves without power and with a lot of branches and leaves to collect, but how did your windows hold up? Some people out there will tell you that if your windows withstood the winds created by the Frankenstorm, then they can handle anything, but did the storm really test the integrity of your windows? In order to answer that question, we need to understand how windows are rated. Engineers that specify windows focus on the design pressure (DP) of a window, as it represents the maximum wind load that a window can undergo without sustaining structural damage (i.e. breaking, deforming, etc.). It is important to keep in mind that the design pressure an engineer specifies for your windows is dependent on many factors. Building type (i.e. hospital, office building, school, etc.) and geographic circumstances (coastal region vs. inland) play a major role. Additionally, engineers will require greater DP values for your windows the higher they are above the ground, as well as if they are near building corners where increased pressures from swirling winds come into play. With that being said, many mid-rise buildings in the Baltimore-Washington area feature windows that can withstand a wind pressure of 20 psf (DP-25). Converting wind pressure into wind speed, a newer DP-25 window is rated for up to 96 mph winds, depending on the previously mentioned factors. This means these buildings are designed to handle (structurally) wind speeds expected with a Level 1 Hurricane (74-95 mph). Another window rating system is the Performance Grade, which designates the resistance of a window to water infiltration, air infiltration, etc. The water infiltration resistance corresponds to the DP-rating of a window and is important to us because it indicates when your windows should be expected to start leaking. The average newer window in a condominium or apartment will begin leaking if you combine heavy rainfall with 40 mph winds or greater. In the metropolitan area, the maximum recorded wind speed (gust) produced by Superstorm Sandy was approximately 60 mph. This means that the event did not produce high enough wind speeds to jeopardize the structural integrity of your windows (DP-25 or better), but the potential for leaks was expected. This really only holds true for new windows; it is not uncommon for older windows to leak at much lower wind speeds due to lower DP ratings and worn out components, such as weather stripping. If you don’t know what the DP rating of your windows are, look for a design pressure test label such as those issued by the Window and Door Manufacturer’s Association (WDMA) or the American Architectural Manufacturer’s Association (AAMA) on the frame. Since there are many factors at play in window evaluation and selection, a design professional should be consulted to make a proper determination of your window leaks. Cantilever balconies are commonly seen protruding from the façade of condominiums and apartments. However, this arrangement can lead to problems arising from heat transfer and condensation, resulting in mold growth. 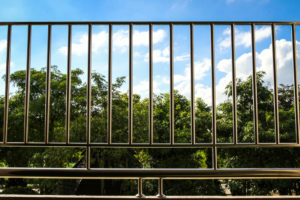 Typically, steel framed cantilever balconies have beams that extend into the building and connect to the structure. Concrete balconies are usually cast integrally with the rest of the floor. During winter months, the exposed balcony structure becomes cold and when it meets the warm building interior, typically near a sliding glass door, thermal transfer increases, as does the possibility for condensation and mold growth. Building owners should be aware of this possibility and watch for condensation forming in the area under the carpet or wood flooring, near the balcony. Fortunately, for new buildings with cantilever balconies, products are now being produced to prevent condensation and mold by inserting a thermal break (insulation) between the exterior and interior portions of these structures. These new balcony structural inserts can carry significant weight, while preventing interior heat transfer. The most common materials used for these products are stainless steel and fiberglass reinforced laminate composites. Although these are new products, they appear promising. While there is no one “most” important component of any given building envelope system, flashings are certainly critical parts. Whether it be roofing (flat or sloped), exterior cladding (brick, siding, EIFS, etc.) 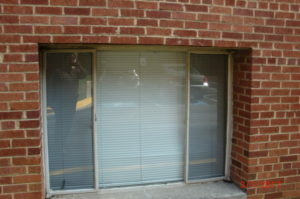 or windows and doors, flashings play a key role in the success of these systems. Flashings can consist of metal, sheet materials, or even liquid-applied membranes and are typically located at key areas (window/door perimeters, wall transitions, penetrations through roofs or walls, etc.) that would otherwise be prone to leakage. Their primary functions are to keep water away from vulnerable components and/or redirect it away from interior spaces. The cost of installing proper flashings is a relatively low percentage of an overall system. On the other hand, the effects and costs associated with missing or improper flashings can be extreme. We regularly encounter the consequences when flashings are not included or are improperly installed. In addition to obvious problems (interior water penetration) rot or corrosion of framing and other concealed building elements can develop and progress unnoticed. Such damage can be extensive and even disturbing. The accompanying photographs show what can happen when an EIFS assembly lacks flashings to collect and divert water away from internal elements. Repeated and prolonged wetting of the underlying wood components produced the severe damage you see and it went undetected until we opened the system up for inspection. Changes in the wind have been felt lately; not only has the climate been influenced by this phenomenon, but design codes have been influenced as well. The American Society of Civil Engineers (ASCE) Standard 7 has released their latest 2010 issue, which is slowly being adopted by most local jurisdictions and it is likely that these changes will be included into the International Building Code (IBC) this year. The latest ASCE 7-10 code introduces new wind speed and windborne maps which change the determination of the basic wind speed, revised building classifications, and new methods for determining wind pressures for buildings. So what does that mean to you and me? It means that higher wind pressures loading criteria for assuming safely, serviceabliity, and structural integrity are being implemented. In some cases the new wind loads can be 60% higher than previously required. This will affect the design and selection of stronger windows, doors, attachments for roofs, facades and mechanical equipment, and anything else that make up the building and its envelope.